Steps To All The Action In Plymouth And Walk To The Beach! Smart TV and wifi included. Nelson Beach is less than a 1/2 mile walk from the home. 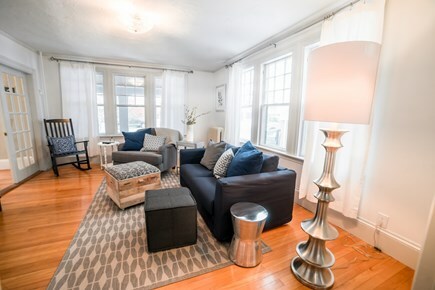 Home is walking distance to Plymouth's historic waterfront. 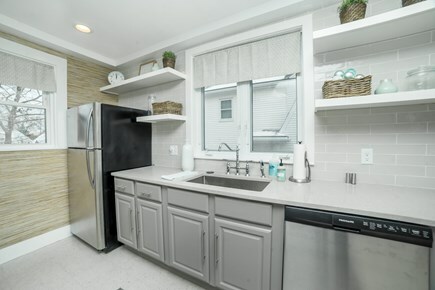 Newly renovated kitchen with all the amenities you need. New stainless steel appliances including dishwasher. Dining room table for formal dinners or casual take-out. 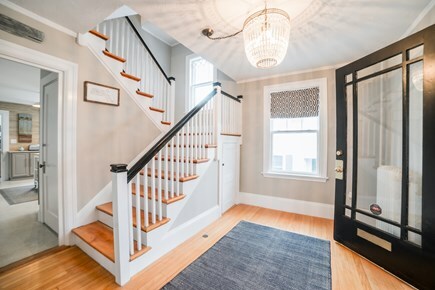 Come in from the large front porch to the stylish entryway . 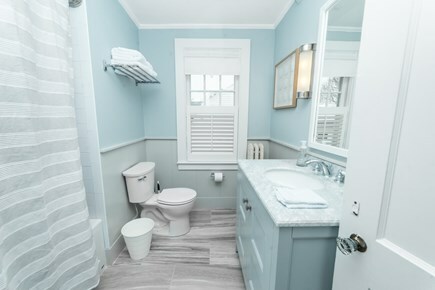 Newly renovated bathroom with tub and shower. Twin room with a view of the water. 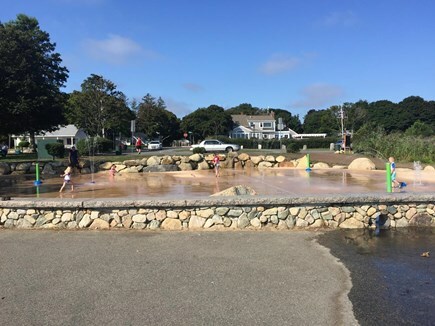 Kids just love the water park at Nelson Beach! April and May dates available at our off-season rates starting as low as $275/night! NEW LISTING! Be in the heart of all the action AND enjoy several beaches within a short drive or a picturesque walk away. You have the best of both worlds!! 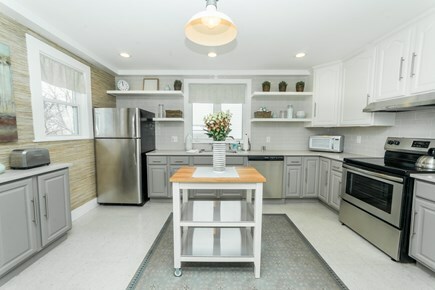 This stylish, immaculate 4-bedroom, 1,600 sq ft house is the perfect place to stay. 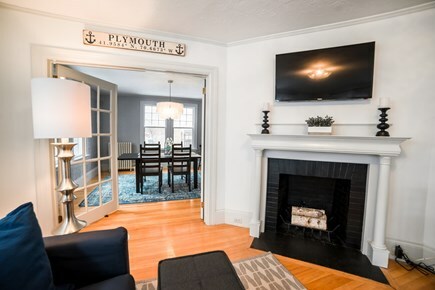 Located on one of the oldest streets in America, the area is rich with history, and the house is just steps to the Mayflower II, Plymouth Rock, the waterfront and all the action of downtown Plymouth. Not to mention you are less than a 1/2 mile walk to Nelson Beach! Take advantage of the many bars, restaurants, shops and concert venues Plymouth offers. Enjoy fantastic beaches, great fishing, boating and whale watching. Parking for 3 cars available in the homes own driveway. The entire house is yours. All new mattresses, furniture and bedding. Furnishings were chosen with the best inns of the world and your every comfort in mind. Super clean, stylish decor, recently renovated and extremely comfortable. 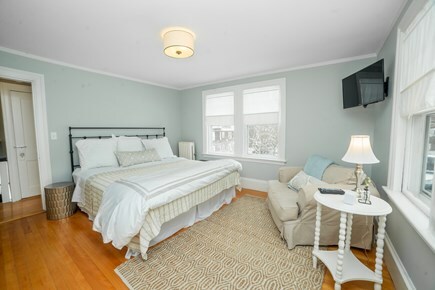 Enjoy 4 bedrooms (3 with smart TVs), a brand-new kitchen with all the amenities of home, a comfortable living room with a fireplace and 42” Smart TV, free WIFI, and a full dining room with plenty of dishes and glasses. The home has a brand new bathroom with shower and bathtub, separate laundry area, great fenced-in, outdoor courtyard in the back, and a spacious front porch complete with rocking chairs for your use. 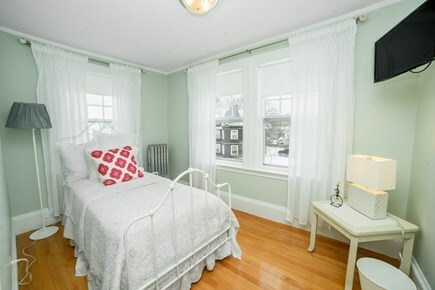 There are gleaming hardwood floors throughout and lots of New England character. Choose whether you want to cook from home or walk to one of the many nearby restaurants. Location is safe and well-lit. The large, well-maintained garage has been transformed to an Activity Center can be rented for an additional fee. Included in the Activity Center are bikes, small ping pong table, dart board and lots of space to entertain. Private parking available in the driveway as well as street parking. Minimum night stay may be negotiable depending on bookings. Security deposit applicable on weekly (or more) rentals. We love to meet and greet our guests whenever possible, but if not, there is coded access from the back of the house. We are available for any reason, and a caretaker lives close by. All house rules, suggested hot spots, and area tips will be listed for our guests. Additional availability info: Please confirm availability for April 2019 before booking. This is a Saturday to Saturday vacation rental. Long-Term Rental (1 month or more): Jan-March available at $3200 per month. Garage space additional. Utilities not included. Additional pricing info: Min night stay negotiable depending dates. Activity Center with bikes, darts & more additional fee. State and local taxes of 11.7% will apply. Such a gorgeous place and a great location. Can't recommend this spot highly enough. The home was perfect for our girls weekend away. The location can not be beat. It is right in the middle of everything allowing for an easy walk to restaurants and shops. The house is so beautifully decorated, the beds comfortable and there is plenty of parking. Dealing with Angela and Carrie was a breeze, they were quick to respond to our messages and so pleasant. Especially appreciated the fresh flowers on arrival! We had a great time in Plymouth and enjoyed our stay at this home in Plymouth. The home had all the amenities and was well decorated...the beds were very comfortable as well! Thank you, Paul, for the nice review. Glad you enjoyed our home. Please come back to visit us again at anytime. Welcome to your home away from home! 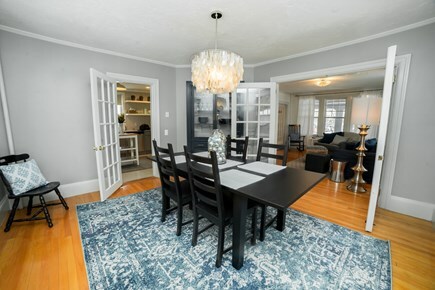 Beautifully updated home with the added bonus of a bustling downtown location. The home has all the comforts of home, a TV in every bedroom, beautiful furnishings, and the space needed for an extended family or group of friends. 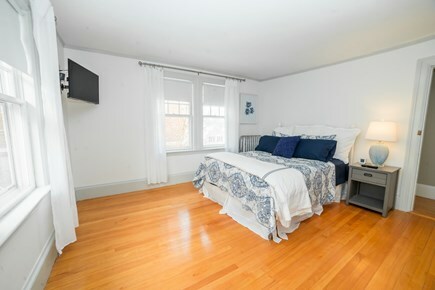 If you are looking for a rental that you can walk to restaurants, live music, or the water, this is a rental for you. Plymouth is bustling every weekend and there is always something around to keep you entertained as this is a very busy location. An added bonus is the parking right in the driveway and your most gracious hosts. We are so excited to share our new home in downtown Plymouth, MA with visitors. It was a labor of love fixing up the house and decorating the home with every detail in mind. We look forward to offering our guests a lovely space in a trendy area and truly hope you enjoy it as much as we do. Location, location, location! You just can't beat being right in the heart of it all. Downtown Plymouth is vibrant, energetic and entertaining. There are so many options to choose from including a variety of restaurants, bars, shops and so much more just steps from our door. 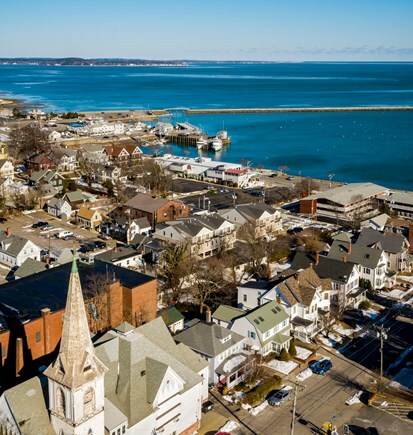 Plymouth is a great location to begin your travels if you want to visit Boston, Cape Cod, Martha's Vineyard, Provincetown (with a ferry just down the street), Nantucket and Newport. 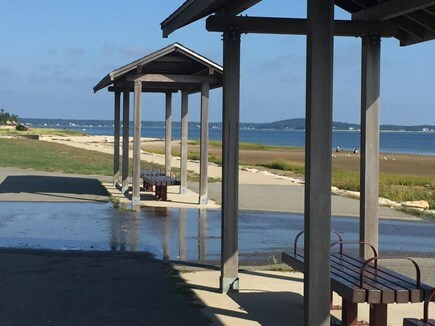 So if you are looking for a centrally located city that offers beaches, historic sites and a lively downtown then make your next getaway a visit to Plymouth, MA! !